Welcome to OneTwoSki, my new weekly blog and a mini website comprising of wintersports articles and experiential resort reviews. With 1200 or more days on snow over 40 years of skiing in dozens of destinations, I know my stuff! But I didn't want this to be an "in the know" expert's eye view full of in jokes and jargon, so OneTwoSki is also intended as a beginners guide to wintersports. If you check under the various tabs, you will find everything you need to know about skiing or snowboarding but have been too embarrassed to ask! Skiing, like golf, can seem off-putting to the newcomer with all the equipment, elitist trappings and incomprehensible lingo. What are bindings? What's the difference between groomers and off piste? How many lessons do you need? And, like golf clubhouses, ski lodges have a kind of country club etiquette that can be rather daunting to newbies. 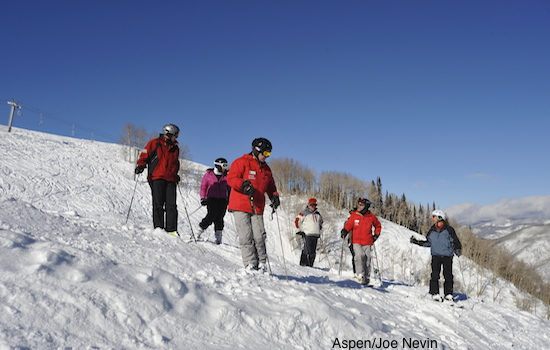 Do you bring your skis or ski poles indoors? Do you take those uncomfortable boots off over lunch or when you visit the washroom? Can you bring a bagged lunch? And where can you attach your ski pass without looking like Paddington Bear with a label hanging around his neck? This blog/website will gradually answer all these questions and help newbies get as enthused about wintersports as I am! I've been working as a freelance ski, travel and golf journalist for the past decade. However, since making my own magazine for a school project back in the 70s, I've always wanted to create my own entire publication. Blogger.com makes it easy and fun! 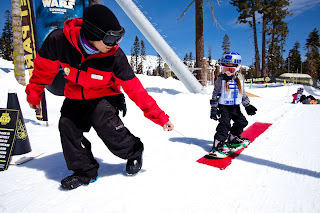 In the various sections you will find articles about resorts, ski equipment, custom-made ski boots, how to keep warm, where, when and how to après-ski, tuition, and the history of wintersports. 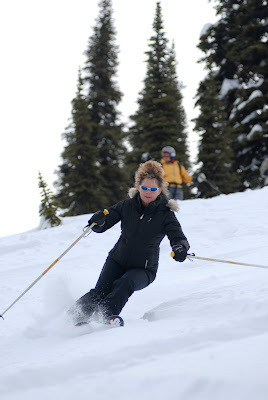 On the blog page, I will endeavour to post weekly updates about happenings in the hills and my own ski travel experiences. You will see OneTwoSki recommendations – for après ski, resorts, ski runs, clothing, equipment etc. These are my personal preferences and may differ from your own opinions! Please do not be offended if I haven’t yet included your favourites – I love everything about skiing and ski resorts and, over time, I will endeavor to include all the best aspects I have experienced in the world of snowsports in OneTwoSki. I encourage your questions and feedback, your stories and reviews, photos and news – so long as it is related to your love of skiing and/or snowboarding. And if you want to read some of my published articles, please go to www.tourismgurus.com or google me for my latest articles. I will also try and keep a list under the publications heading. Have fun reading this blog and if it is not your cup of tea, just click on "unsubscribe". New book on customer service! Have you ever wondered why customer service is the exception rather than the norm? Why is it that some companies like Disney, Four Seasons and Virgin get it right, when so many others fail? Well, my new book about customer service in the tourism and hospitality sector written with business and life partner, Simon answers these questions and more. And, of course, due to my obsession with skiing and the wintersports industry, there are plenty of ski-related case studies included in the book. Check out the Spotlight on Sandy Best, Lake Louise's visionary Marketing Manager in Chapter 6; an article about Joe Nevin's innovative and instructive Bumps for Boomers program in Aspen; interviews with ski chalet guru, Andrew Dunn from Scott Dunn Travel; and the Case Study on the grand-daddies of heli-skiing, Canadian Mountain Holidays in Chapter 2. 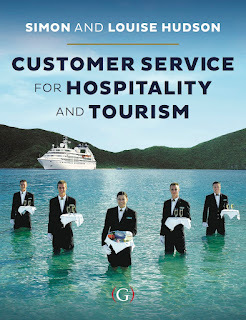 Given the critical importance of customer service for the tourism and hospitality sector, it is remarkable that this is the first comprehensive text that deals with this important topic. The book will be useful for both students and industry practitioners as it explains not only the theory behind the importance of customer service but also acts as a guidebook for those wishing to put this theory into practice. In essence it is the ‘whys’ and ‘hows’ of customer service. The book is easy to read, very current, and full of references to all the latest research from both academic and practitioner literature. It's going to have its own blog, soon, so keep an eye out for more details. 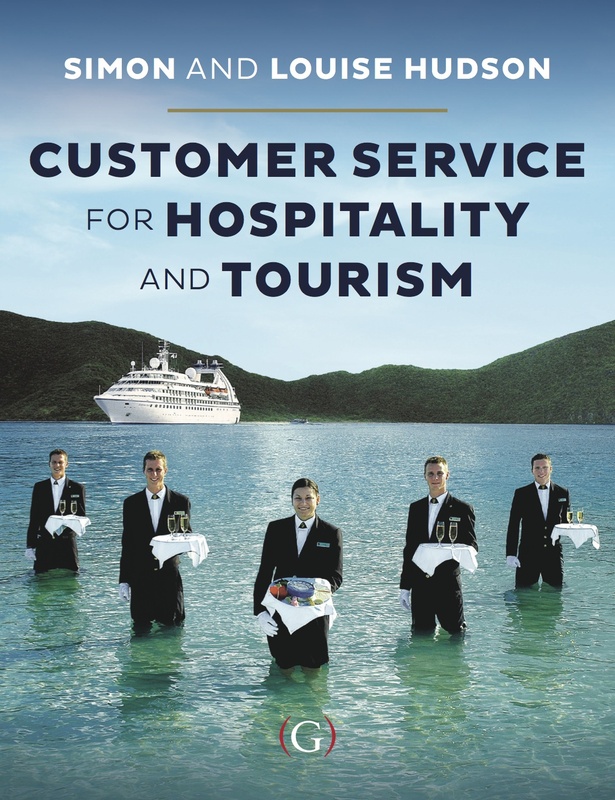 The book, entitled “Customer Service for Hospitality and Tourism”, will be available to purchase from November through Goodfellow Publishers in the U.K.